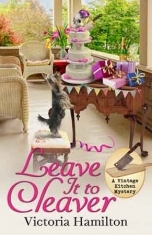 Victoria Hamilton is the pseudonym of nationally bestselling romance author Donna Lea Simpson. 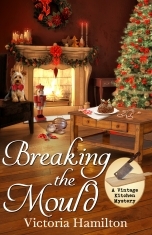 She now happily writes about vintage kitchen collecting, muffin baking, and dead bodies in the Vintage Kitchen Mysteries and Merry Muffin Mystery series. 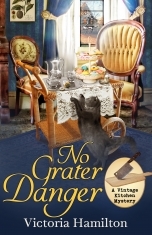 Besides writing about murder and mayhem, and blogging at Killer Characters, Victoria collects vintage kitchen wares and old cookbooks, as well as teapots and teacups. You can learn more about Victoria by visiting her website at victoriahamiltonmysteries.com.